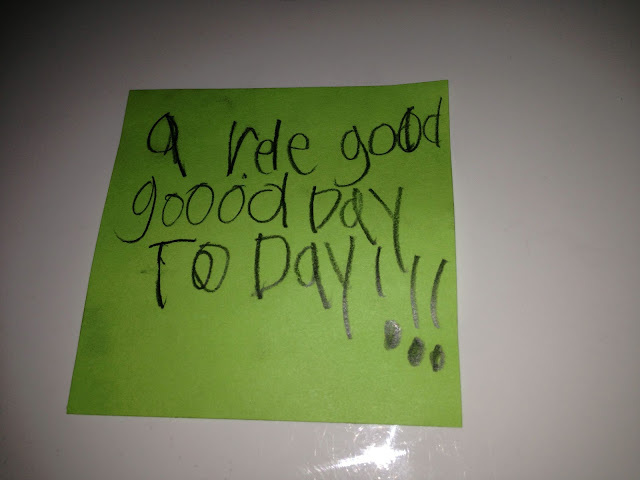 Just Another Day...: My Sweet Girl! 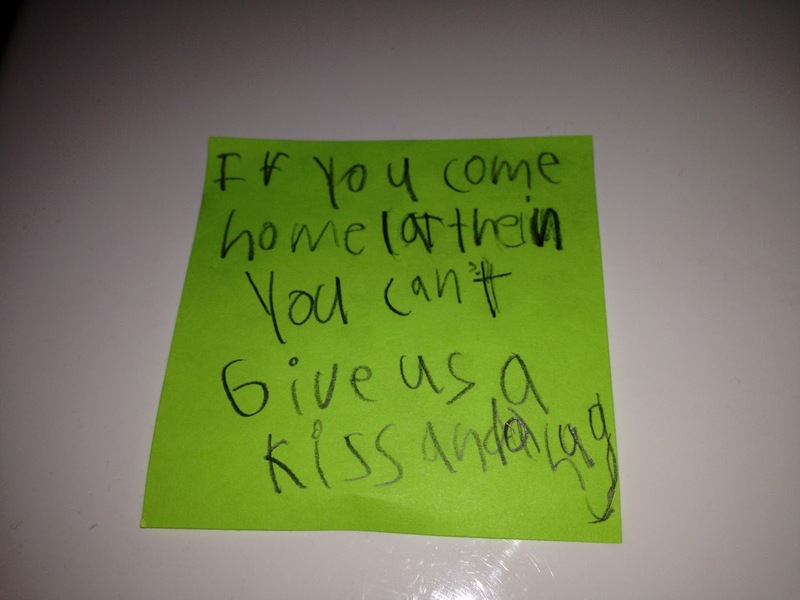 I came home the other night to find a little note left for me by LO. Well, technically, a series of notes. 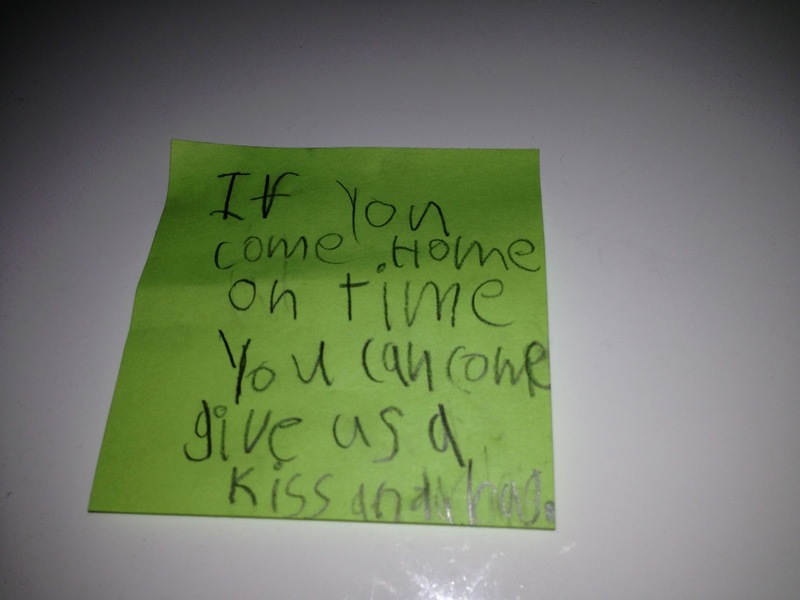 TRANSLATION: "If you come home on time, you can come give us a kiss and a hug." TRANSLATION: "If you come home late, then you can't give us a kiss and a hug." TRANSLATION: "Chase went pee-pee on the potty and I got a marble!!!!" 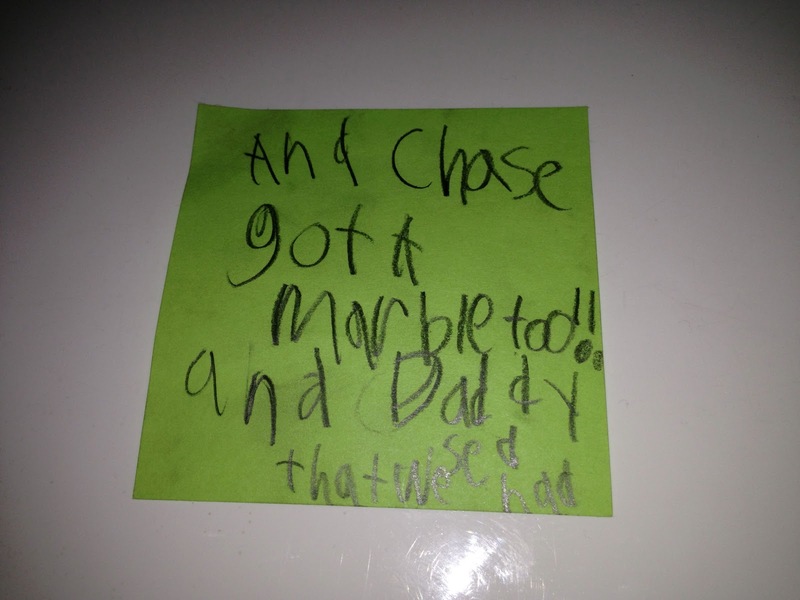 TRANSLATION: "And Chase got a marble, too!! And Daddy said that we had..."
TRANSLATION: "A really good good day today!!!" 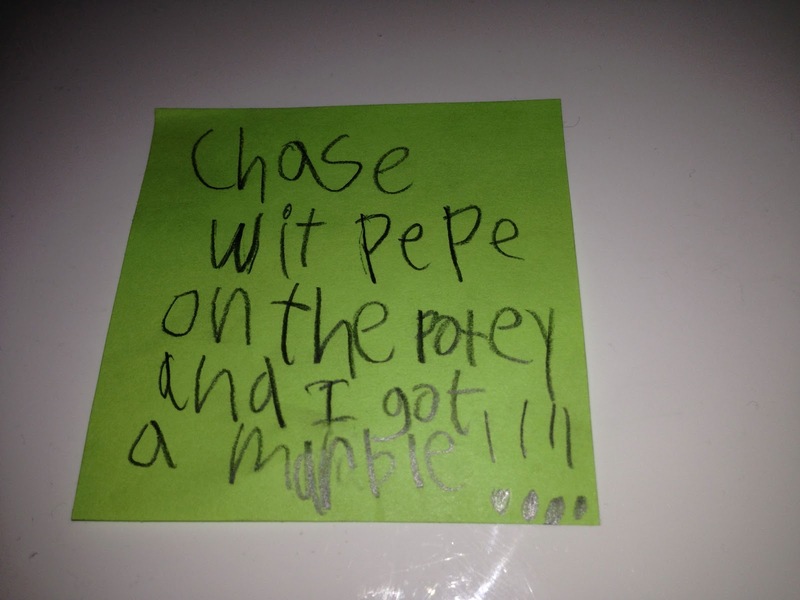 That warms any parent's heart. 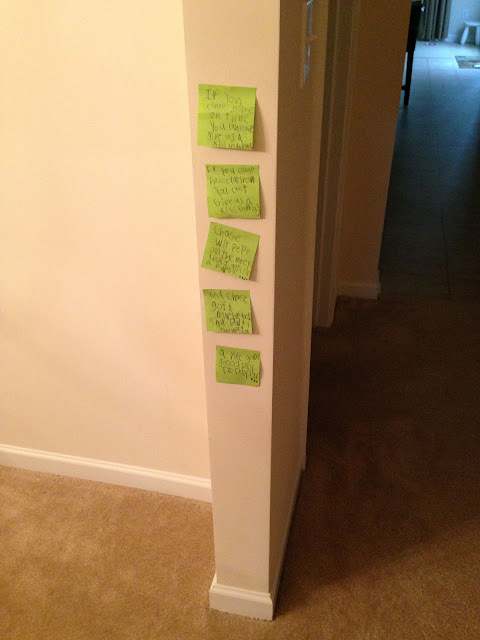 Love that girl.